On Tuesday, December 14th, the Social Media Communicators met to discuss blogging and blogger relations. Lauren Davalla and Thomas Testa of Public Relations presented on a proposed blogger relations campaign, including how to find influential bloggers in both broad and niche subjects and how to pitch bloggers productively and respectfully. They then opened the floor for discussion. If you are a member of the Social Media Communicators Google Group, you can now access the full presentation. 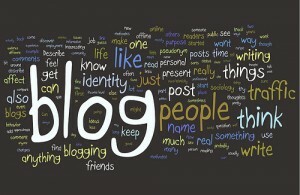 We look forward to hearing more from our SMC’s as they develop their own blogs. If you are interested in speaking to the group about your school’s or department’s blogging efforts, please let us know. Image courtesy Kristina B on Flickr.